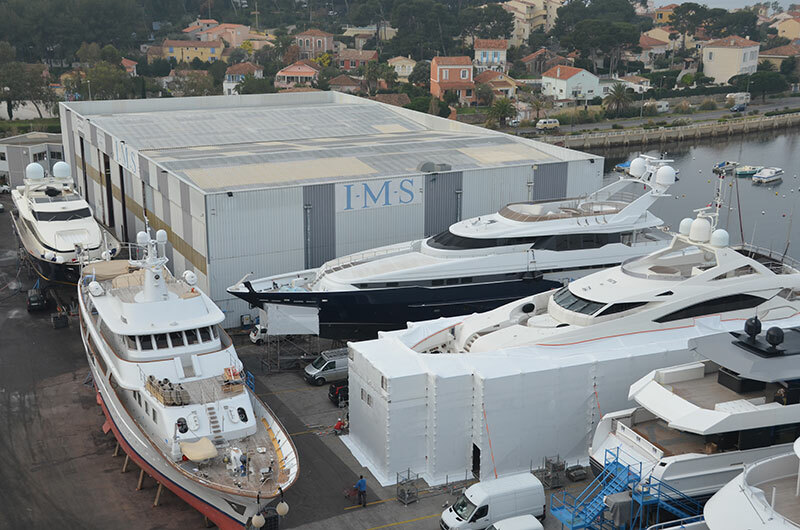 With its two sites IMS 300 and IMS 700, IMS Shipyard is an imposing shipyard. 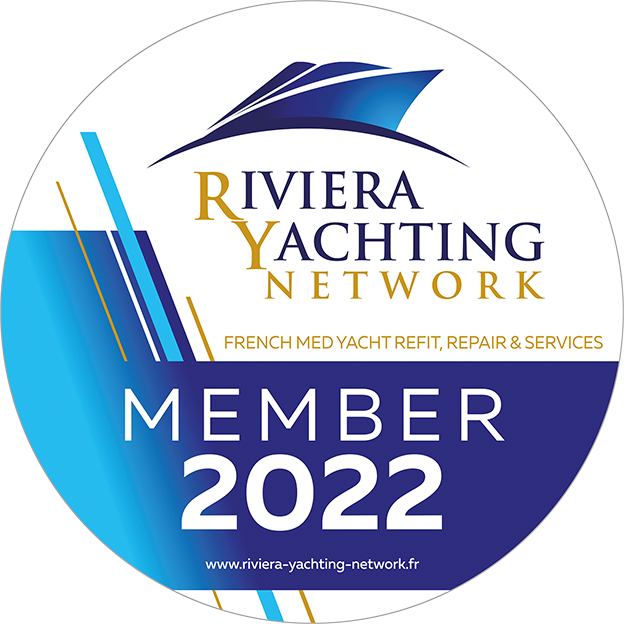 Its exceptional infrastructures meet the all requirements in terms of yacht refit and repair. 77,000 square metres wharf including 20,000 square metres of sheds. A total of 75 dry slots with 35 enclosed, secured sheds. -	320 and 670 tonne travel lift. -	A self propelled trailer up to 350 tonne. -	35 and 50 tonne cranes. -	3 to 5 tonne forklifts. 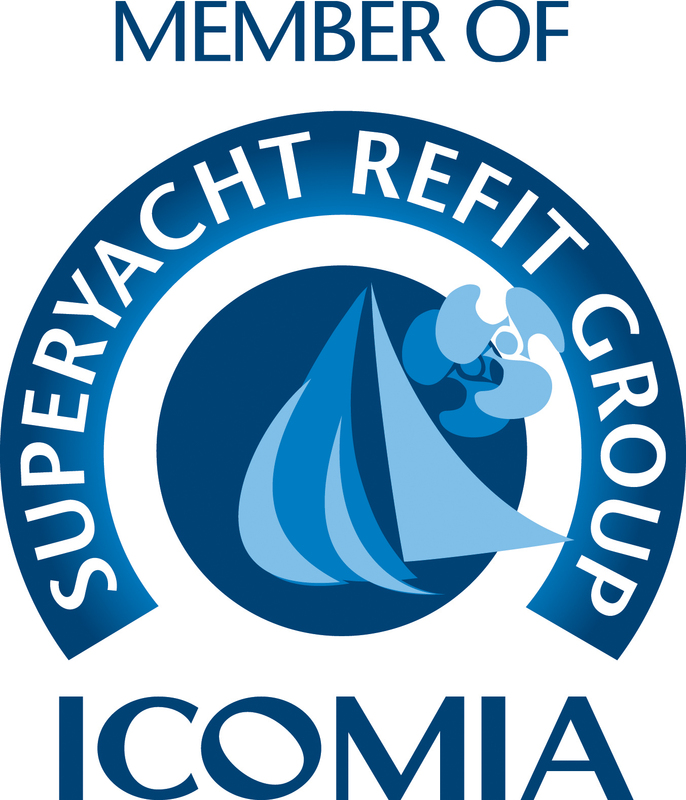 -	A boat slip for vessels up to 100 tonnes and 20 m in beam, ideal for multihulls. 4 vast sheds, height up to 15 m. Equipped with ventilation systems and all the equipment required for short and long term work. A shed devoted entirely to paint work, equipped with an emission treatment system. Capacity: 3 boats up to 50 m simultaneously. 3,000 square metres of offices and workshops. 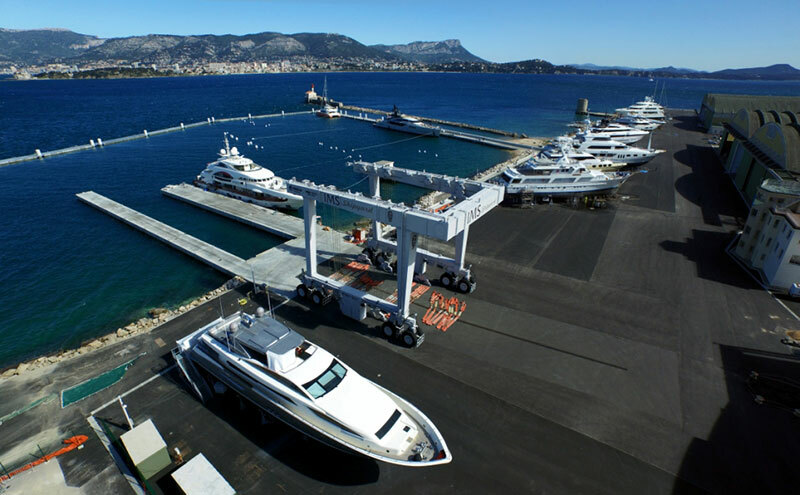 Over 3,000 square metres of secured storage space for your equipment (tenders, jet-skis, various material…) for temporary or year-round storage.